Muna Garruugaray follows the life of Worimi woman, Dr. Gabrielle Perry. From experiences throughout her life, Gabrielle has now dedicated herself to becoming a doctor to one day give medical help. 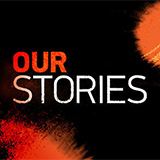 Our Stories was broadcast on NITV at Monday 15 April 2019, 09:20.